VS: I'm from Oklahoma City, and Rick is from Baltimore, Maryland. 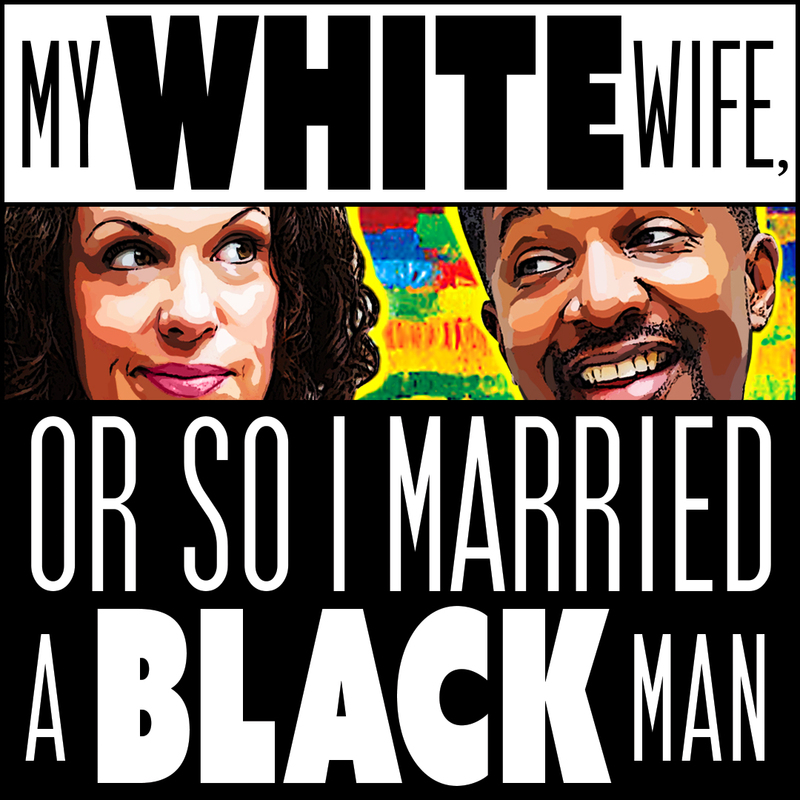 We actually talk a lot of about the differences in where we grew up in My White Wife, or So I Married a Black Man. RY: Vanessa got an MFA from the University of Georgia; I didn't study theater or film in college, but my degree was in American Studies from the University of Maryland. VS: My favorite credit is always the most recent one. This spring UP Theatre Company in Washington Heights did a great production of my play, An American Drum Circle. It was great! The show was directed by Melissa Attebery, one of our two directors for this show. And it was staged in the round, which was really exiting. We had a great cast, including the fabulous Rick Younger. RY: And mine is also recently - I got to work with Woody Allen on a new project of his for Amazon. My scene was with Woody Allen and Elaine May - two legends! VS: Well, I'm a white woman, and Rick is a black man. And we're married - and that's what the show is about! It's part storytelling, part stand-up comedy. RY: We reveal some inside information about race from our personal experience. See, most people don't like to talk about race, or if they do it's very PC. 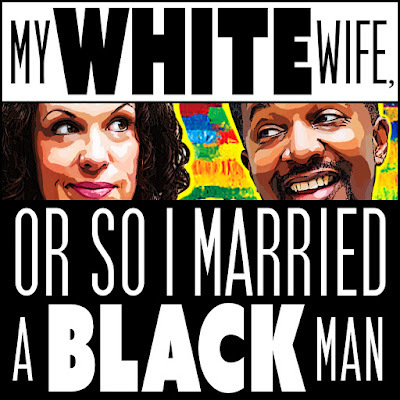 But, because we're married, we talk about race all the time. VS: So we thought we'd take that freedom that we can have with each other - the freedom to REALLY talk about race, openly, in a private conversation - and make it public. RY: Plus it's funny. People need to laugh together. We're raising a biracial child, in a so-called “post-racial” America. We hope we can free people up to have a difficult and desperately needed conversation about race. VS: Big-fun-play inspires me. Theater that makes me think, but doesn't preach, and tricks me into thinking that I came up with a wonderful epiphany all by myself is always satisfying. Above all, a big story - one that really moves. RY: I'd go back and see RENT with the original cast. I was in the national tour of the musical and I've always wished I'd seen the original. VS: Black licorice. And I'm not trying to be funny. I really like it. RY: Kentucky Fried Chicken, original recipe. And I'm not trying to be funny either. It's my guilty pleasure. VS: I'd be teaching, which I did for years and occasionally still do. Teaching is essentially performing, and writing, and directing, and producing, and stage managing ...so I guess I'd be doing the same thing I'm doing now. RY: Well, I do stand up, so I'd be doing that. Or if I wasn't doing stand up I'd be singing. So yeah, basically the same thing I'm doing now. RY: I'll be doing another “Rick Younger Show” in the fall. It's a show where I perform with my 6-piece band and sketch comedy guests. It is a mix of live music, stand up, and sketch comedy. VS: It's a fun show. We've produced about 30 versions of the show together since we're been married. It's always different and it's always good time!